“Atonement in Bloom” continues the urban fantasy from the point where “Atonement, Tennessee” ended. The quaint town was stranger than Ralda Lawton could have imagined. The local population included supernatural beings of the fae variety. Although only she and a few others knew about that. In a past life, Ralda ― Esmeralda had been involved in something with those supernaturals and it had carried into her present life. In Atonement, Tennessee, that almost got her killed. 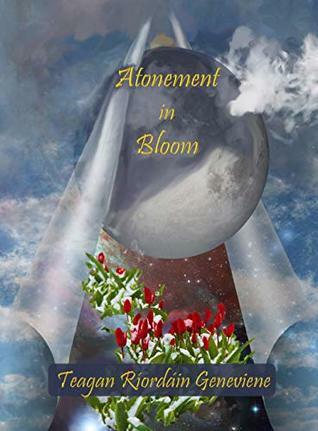 Now she has new problems, and new supes to complicate matters.Atonement in Bloom continues the misadventures of Ralda, her friends, and neighbors in the small (but far from peaceful) town of Atonement, Tennessee. Her old house and cemetery are still there, along with Lilith the cat, quirky townsfolk, and assorted supernaturals. Now Lilith the calico sniffs out a strange beast. Fae foolery backfires. A friend is abducted. On a cold December day, Atonement, Tennessee comes into bloom. Boy, did I miss these characters (especially Lilith, my favorite fictional calico cat) and this quirky little town. When the author offered me an ARC, I jumped at the chance. 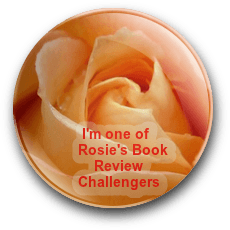 If you’re a regular reader of Geneviene, whether it’s her books or blog, her vast imagination comes as no surprise. If this is your first encounter, you’re in for a creative treat. With charismatic characters, both human and magical, glowing pigs, and an engaging mystery, this novel will easily persuade you to curl up in your favorite reading spot and spend a few delightful hours in the town of Atonement. This is the second book in the series and could be read as a stand alone, but for maximum enjoyment, I’d advise reading Atonement, Tennessee first. I’d highly recommend this series to fans of magical characters, eccentric towns, creative mysteries, and highly intelligent felines. I’m still hoping Lilith gets her own book. I love Teagan’s writing. Glad to see it spotlighted here. Thank you, Staci. You are so kind. Have a wonderful Wednesday. Great big hug. Her imagination astounds me, Staci. I’d love to take a peek inside her head! Thank God she blogs often, so we get glimpses. Ha! That peek might inspire a new horror series, Teri. Today it’s crowded in there. Too many thoughts. LOL. Seriously, you are so very kind. Hugs. I'm thrilled that you enjoyed "Bloom." Although you've just given me an idea. Maybe she will get her own book… I've struggled with how to tell book-3. I want it to be the back story of Cael and the original Esmeralda. It would be a couple hundred years in the past, but in the present as well. Now you've caused me to play "What if? "… What if I tell that story via "The Atonement of Lilith"? Teri you are a treasure. Mega hugs! I’ve got nothing against spiders or mice, but cats are much easier to cuddle. That would be an interesting take – their story from Lilith’s POV. I read a story like that once – not everything was from the cat’s POV, but a few chapters sprinkled throughout – kind of like Lilith in Atonement. Hugs, Teagan! I have Atonement, Tennessee. Shhh, no spoilers, I’m not done with it yet, but it’s great so far. Every time I walk past the cemetery at the end of our road, I think of Ralda. It sounds like Atonement in Bloom is just as good! Happy you’re enjoying it, Priscilla! So cool you have a cemetery at the end of your road – very atmospheric. Hurry and finish so you can move on to Atonement in Bloom. Priscilla, that is music to my ears. I hope you enjoy your visit to my quirky little town. Cool about the cemetery. As they say, nice quiet neighbors. LOL although that isn’t always true for Sunhold. Hugs! I love Teagan’s whimsical imagination. I read the first Atonment book and really enjoyed it. Sounds like she has another winner with book 2! Absolutely, Mae. And as a fellow cat person, I bet you love Lilith just as much as I do. You are so kind, Mae. I’m delighted you enjoyed my little fictional town. Thanks for taking time to visit here. Chin rubs to Raven. Great big hug. I’ve been meaning to get to Atonement, Tennessee for a bit now. I’ll have to move that up on my TBR list. Thanks, Teri! They both sound fantastic. This checks all the boxes for me (especially highly intelligent felines). 🙂 I’ll be watching out for a spin-off with Lilith, if there is one. You mean there are felines that aren’t highly intelligent? Hi Sarah. Thanks for taking time to visit. It’s always great to hear from another cat person. I honestly was afraid people wouldn’t like the book, with bits (usually at the end or beginning of a chapter) from the cat’s point of view. Teri proved me wrong. Happily. Have a wonder-filled, hug-filled Wednesday. Cats are a sure thing. 😉 (In my opinion.) I’m looking forward to reading both of these, Teagan. And can we expect a spin-off, a short story, a novella, something about/from Lilith??? LOL. I blush, Sarah. I believe I definitely have to do something big for Lilith. I am reading Atonement in Tennessee and enjoying it a great deal. I thought I should read book 1 first. Robbie, I’m so happy to hear that. Yes, it really is best to read that one first. I tried to make Bloom so that it could be understood without the first book, but to avoid a lot of digressions and belaboring the story, I made several references to book 1. But those references don’t pertain to the mystery in book 2. Thanks for taking time to visit here. Great big hug! I agree with Teagan – you should read Atonement before this one. I know you’ll enjoy it, Robbie! Woohoo, mega congrats on the wonderful review, Teagan! Thank you Jacquie. I’m over the moon. And I sincerely appreciate your review of book-1 as well. Have a wonderful rest of the week. Hugs! Both books are fantastic and I agree it is best to read Atonement Tennessee first. Great review! Hi Olga. Thank you kindly. I appreciate you visiting here. I’m so grateful for your detailed reviews of both books. 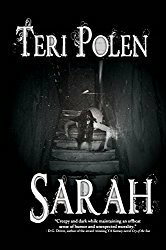 I was thrilled to find Teri’s review this morning. Hugs! I couldn’t agree more, Olga – both are absolutely fantastic. Thanks! Thanks, Natalie! Teagan’s books are always such a joy to read. Thank you kindly, Natalie. I appreciate you visiting. Happy weekend hugs! I’m glad to see you publish this review. I love Teagan’s writing and this was a great second-in-the-series book. I thoroughly enjoyed it. Thanks so much, Dan. I appreciate your feedback on the ARC — along with all your encouragement and support. Hugs! So did I, Dan – love this quirky, supernatural town and its inhabitants. You never know what could happen.